The Free College Benefit is an investment in you and your future. With the Free College Benefit union members and their families do not have to pay out of pocket for any tuition, fees or e-books at Eastern Gateway Community College—resulting in cost savings of thousands of dollars! A The Free College Benefit is open to members in good standing, who are full dues-paying members, retired members and their families. 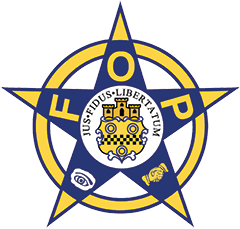 Family of FOP members are defined as children (or stepchildren), grandchildren (or step-grandchildren), spouses, domestic partners, financial dependents, siblings and parents. Potential students’ membership will be verified by union. It is for real and students have been taking advantage of this great opportunity since Fall 2015. Over 6,000 students have enrolled at EGCC through this program. To receive the Free College Benefit, participating unions’ members (or their family members) who want to enroll in EGCC’s online programs will need to complete the following steps. Members can also call 888-590-9009. You first need to apply to EGCC at www.egcc.edu. click on Apply Now on the top right of the page. When applying please only check the box for your union. Students must submit proof of High School graduation or GED completion. If you would to have previous college credits reviewed for transfer to EGCC, you will need to send us official copies of those transcripts as well. 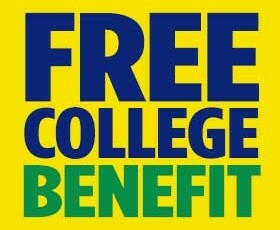 A Once you receive the Free College benefit to cover the cost of tuition, fees and e-books at Eastern Gateway Community College, you must comply with all academic, conduct, attendance and financial aid policies as required by the college, the state of Ohio and the U.S. Department of Education in order to continue to receive the benefit for each semester in which you enroll in classes toward your degree. You must also continue to be a full dues paying member of your union (or an eligible family member). You are also required to complete the FAFSA, including any required verification, for every new academic year. Eastern Gateway Community College is a public, open-access college located in Steubenville and Youngstown, OH. The college is part of the University System of Ohio, governed by the Ohio Department of Higher Education and regionally accredited by the Higher Learning Commission, the accreditor of most public and private institutions in the Midwest. EGCC is committed to innovation and increasing quality educational opportunities for students in all across the country. The staff of EGCC is union represented by the Ohio Education Association. A The Free College benefit is an individual scholarship and amounts vary based on the student’s cost of tuition, fees and e-books at EGCC. The scholarship will be renewed each term as long as the student (or the family member) is a full, dues paying union member, and the student maintains satisfactory academic progress as defined by EGCC and the U.S. Department of Education for federal financial aid. As long as the student is actively participating and working toward their degree, there is no time limit for degree completion. Students must, however, complete the FAFSA and any required verification, for each new academic year. If this is Free, why do I have to complete the FAFSA? The Free College Benefit provides a grant through EGCC that will cover the last dollars you need to pay for tuition, fees and e-books at EGCC. In order to determine the amount of the scholarship, the college needs to know how much you have in grants that can be applied to the cost of your education. The grants are only awarded by the federal government based on the information you provide in your FAFSA. 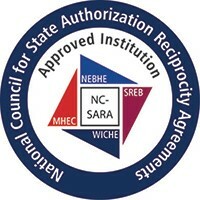 Students who are currently in default on their federal loans will have to wait until their loans are in rehabilitation in order for EGCC to be able to award the scholarship. Students are invited to call the EGCC Financial Aid office for help on this subject at 740-266-9619. You can also call directly to the U.S. Department of Education toll free at 800-621-3115. A Yes, please send in your official college transcripts in order for them to be evaluated for transfer credits to EGCC. A To be eligible for the scholarship, which is a form of financial aid, you must enroll in a degree program at EGCC. However, the programs are flexible in that you can take one class at a time. Why is my union offering this benefit? A One of union members biggest concerns is the cost of college. Today, only half of Americans who begin college will be able to finish, largely due to financial and work/life barriers. With this benefit, unions have found a way to help members and their families begin to alleviate this worry. 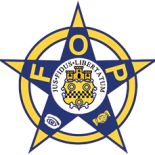 A This program started successfully with labor unions in Ohio. The demand from members was so great that more unions wanted to provide the benefit to union members and their families. EGCC, which is organized by the Ohio Education Association, is committed to helping adult and returning students be successful in earning their degree, which can lead to increased career opportunities.